Partner with us to create your perfect itinerary and customised quote to trek Nepal! We’ll help you create an itinerary that’s designed to suit your budget and travel preference. That’s why we need to know if you’re a budget or mid-range traveler. Some trekkers want to keep costs as low as possible, and others are looking for a bit more comfort for a great value price! Just complete the form below and we’ll get back to you within 24 hours (often a lot less!). Just Complete and Send This Form! I'm a Budget Traveler - I want the most basic options and the lowest possible price! I'm a Mid-range Traveler - I want a bit more comfort for a great value price! 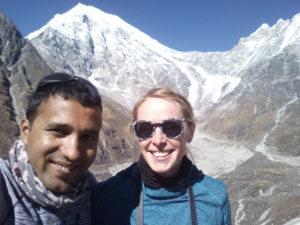 I would love to receive your inspiring and fun short monthly newsletter about trekking in Nepal! Keep an eye on your inbox, we’ll be there soon! *If you don’t hear from us within 24 hours, check your junk folder in case our email has been marked as spam. Or simply add our email address to your contacts! We’ll start by proposing an initial itinerary based on your request and a customised quote to trek Nepal. We’ll let you know the different options available and answer any questions you have. Then we’ll work with you to customise the finer details. We want to help you create your perfect trip in Nepal and we guarantee you won’t find better service before or during your trek! Read more about why you should choose to trek with us.